When decorating your home, most people put a lot of time in picking out the right furniture and wall décor but how much time do you spend thinking about covering your windows? Many homeowners don’t pay a lot of attention to the windows and that’s a shame. The way you decorate your windows is very important. It’s a fun and easy way to add a touch of elegance or some pizzazz to your décor. You have several options to choose from when looking for ways to cover your windows, so it may be a little difficult deciding which ones to use. Spend some time going over your different options and it will help you determine which one suits your home and taste the best. Knowing what your different options are will help you find the best way to cover your windows. There may be some options available that you’re not familiar with, which is why you need to do a little research before you make your final decision. If you’re having trouble deciding, our decorators here at J. 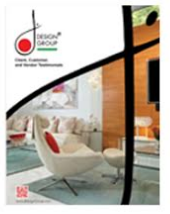 Design Group can help you choose the best option for your home. Curtains– Curtains come in a wide variety of colors, fabrics and styles and they hang just below or level with the bottom part of the windowsill. Blinds– You can completely shut out the light or adjust the amount that shines in with blinds and they come in a wide variety of sizes and several different colors. Drapes– Unlike curtains that are cut to match the size of the window, drapes reach all the way down to the floor and they’re designed to create a dramatic impact. Shades– Commonly made from plastic or fabric, shades are made from slats attached to a roller and secured to the top of the windowsill. Unroll the shade to completely cover the window or roll it up to let in the sun. Shutters-These attach to the inside of your window frame and they’re made from plastic, wood or fabric. Similar to blinds, you can adjust the slats to allow different amounts of light in or close the shutters to block out all light. In addition to the different types of window coverings available, you can also use accessories to help dress up your windows. For example, lace sheers, valances and decorative curtain rods add a touch of flare that will enhance your décor. Contact us for more great ideas on how to dress up your windows. The room you’re decorating will determine which type of treatment to use. For example, you’ll need more privacy in bedrooms and bathrooms than you would in the kitchen or dining room, so you’ll need to be able to completely cover these windows. Since the living room is where you do most of your entertaining, many people prefer drapes for these windows because they add a touch of elegance to the room. When decorating a child’s room, safety should be your number one concern. Cords from blinds can pose a choking hazard and kids can pull drapes down on top of them, so be careful what you choose. The main thing is that you choose something you like that also provides the privacy you need and safety for children.